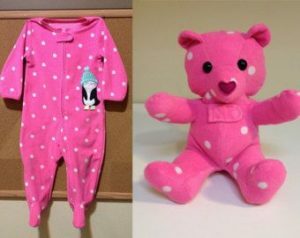 There are so many precious memories associated with our children’s baby clothes. 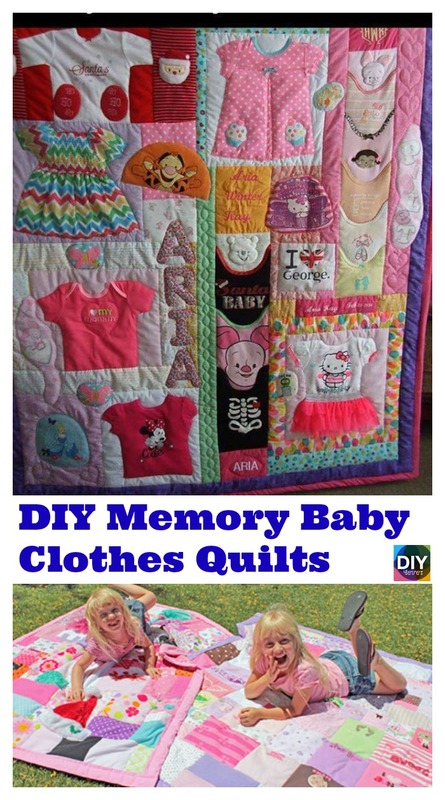 What better way to keep those memories than with this DIY Memory Baby Clothes Quilts idea ? A baby’s clothes acquire history so quickly: There is the blanket she came home from the hospital in, the overalls she wore while learning to crawl, the flannel pajamas she fell asleep in at night. For those items too precious to give away, or too stained to pass along, there is a solution more creative and less cluttering than a box in the attic — a baby memory quilt that is sure to become an heirloom. 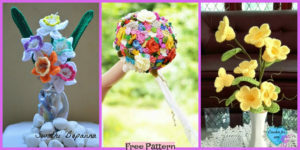 Please check the link below for the DIY instructions . You also can order a baby memory blanket from QuiltKeepsake or Jellybeanquilts. 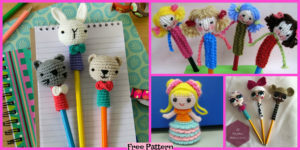 You may also like: DIY Keepsake Memory Teddy Bear from Baby Clothes. Making a baby clothes quilt is such a wonderful and practical way of preserving those cute baby clothes that were a gift from special friends or family members or even something really special you bought for your new baby. 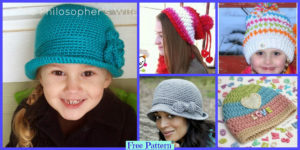 Image credit: QuiltKeepsake & Jellybeanquilts.